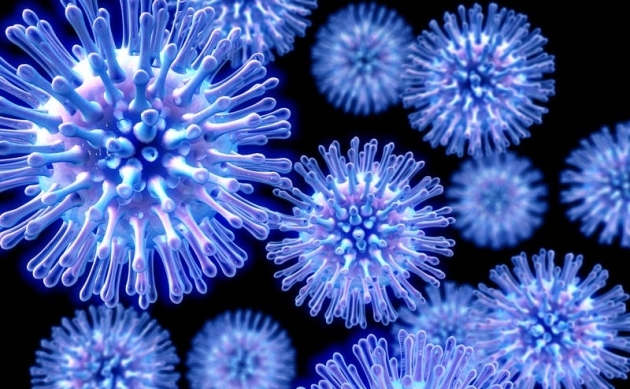 Defeated virus: will the flu become a second smallpox? With the arrival of the first colds, the number of cases of acute respiratory viral diseases increases, the most serious of which is considered the flu. According to the World Health Organization (WHO), from 10 to 15% of the world’s population is infected with influenza viruses, which leads to death, including economically developed countries. It is proven that vaccinal prevention is one of the most effective ways to fight the flu. According to experts, when vaccine and circulating strains occur, vaccination reduces the incidence of diseases in the population by 50-60%. The effectiveness of vaccine prevention of influenza is confirmed not only by clinical studies, but also by statistical data: from 1996-2017 vaccination coverage in Russia increased from 0.2% to 46.5%, which made it possible to reduce the incidence of influenza by 155 times and bring vaccination to the most important tasks. This year, an innovative drug which will allow us to solve the problem of the incidence of influenza appeared on the domestic pharmaceutical market in the Russian Federation. In July 2018, Petrovax NPO Farm received a registration certificate for Grippol® Quadri, which is the first domestic tetravalent vaccine against influenza. Vaccination has already become available in this surveillance in 2018/2019, it is allowed to use from the age of 18, but clinical studies are currently being conducted on the efficacy and safety of its use in childhood. According to leading experts in the field of infectious diseases, the results of clinical trials of the first domestic tetravalent vaccine showed that it is well tolerated, has a low-reactive vaccine and has a favorable safety profile. An assessment of immunogenicity has shown that tetravalent vaccination, which allows analysis of 5 ug of antigens of two types of virus and two viruses, does not provide trivalent reference vaccines for the control of strains and outperforms them in relation to the fourth strain, the influenza B virus, which is not included in trivalent viruses. Currently, production vaccines are produced only in 6 countries of the world – Australia, Germany, Canada, New Zealand, the USA and France, this year in this honorary list the Russian Federation entered. New domestic vaccination is not inferior to high-quality foreign analogues, because It meets the requirements of GMP and has a number of pharmacoeconomic advantages. According to experts, its use will provide up to 265 thousand cases of flu for the season and save more than 2.5 billion rubles of state budget, compared with traditional trivalent vaccines. http://x7cpr.com/wp-content/uploads/2018/12/regnum_picture_1453264249174590_big.jpg 389 630 Evgeniy Makarevich http://x7cpr.com/wp-content/uploads/2013/04/logo1.png Evgeniy Makarevich2018-12-21 17:08:112018-12-21 17:08:11Defeated virus: will the flu become a second smallpox?